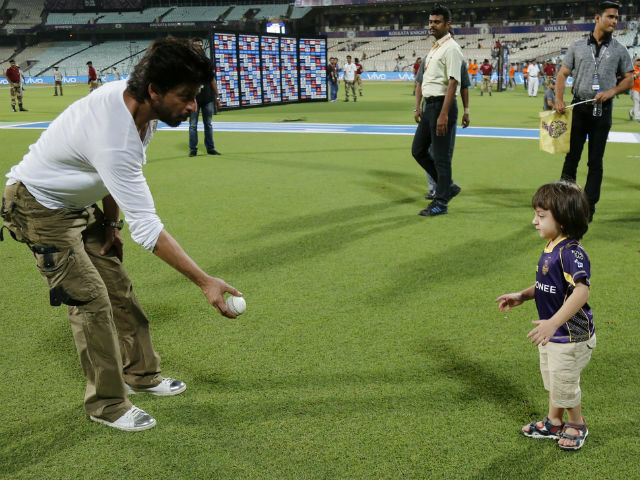 It was a treat for all the fans present at Kolkata's Eden Gardens last night as Shah Rukh Khan along with his little munchkin AbRam was present there to witness the match between his team Kolkata Knight Riders and Delhi Daredevils. 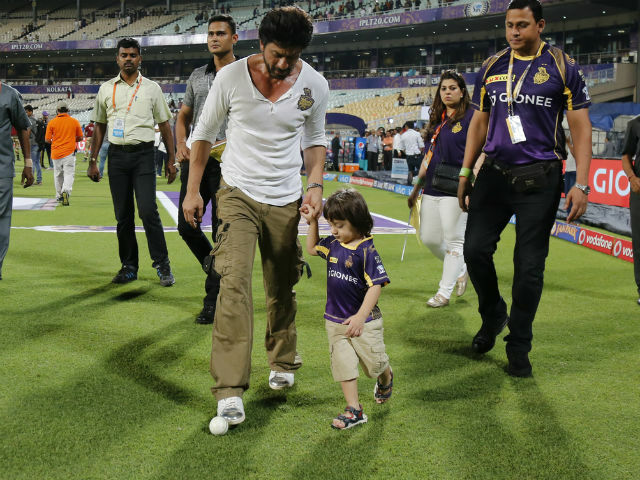 SRK tweeted about the match saying that little AbRam was the man of the match. "Thank u. 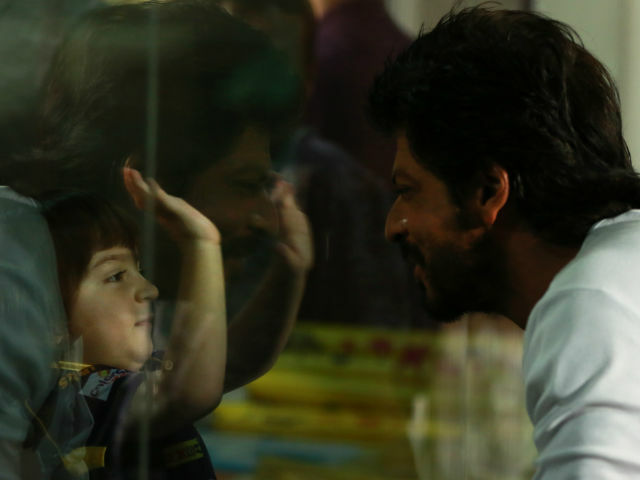 And yes lil man of the match is our AbRam," wrote Shah Rukh. 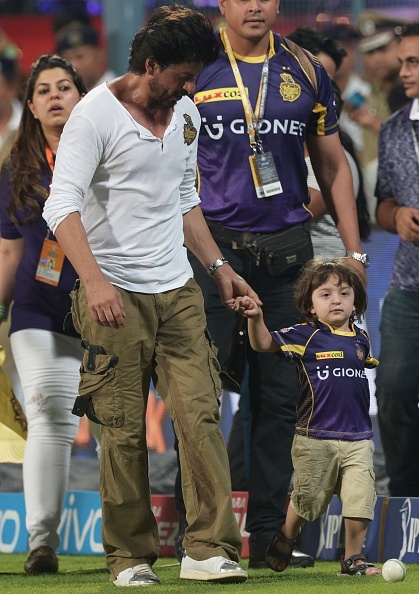 AbRam, the youngest of SRK's three children, came fully prepared for cheer duty. 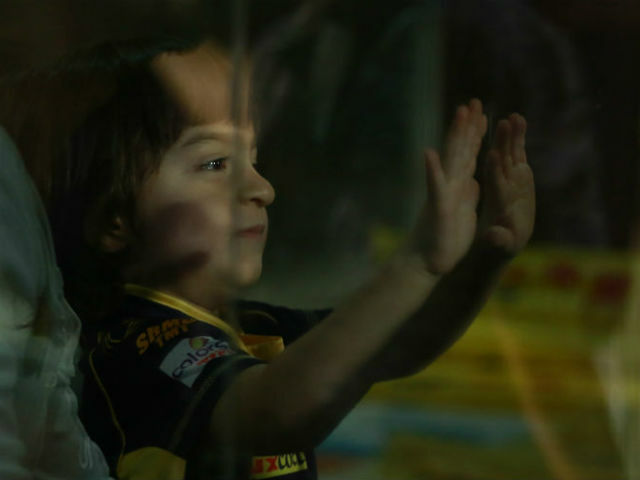 His pre-match routine consisted of a good soaking and rehearsing his moves with dad. Earlier he has tweeted, "Compulsory bubble bath before match. Has to be taken otherwise the lil Knight doesn’t leave the room. Uff the sacrifices I hav 2 make for AmiKKR." 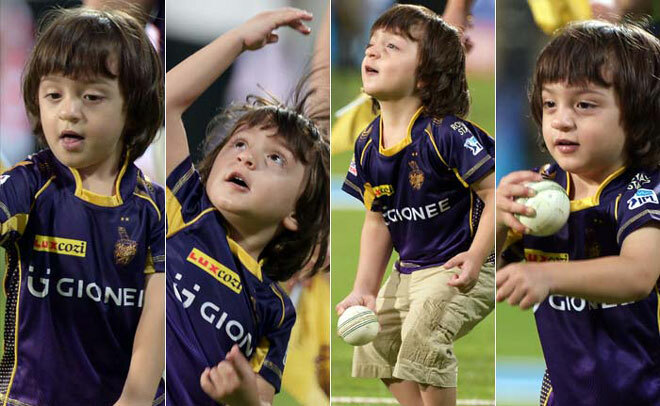 While the match was absolutely a nail biting one, the man of the match moment was undoubtedly the cutey AbRam, who kept everyone entertained with his naughty antics.